Esta é a versão do chefe dos pilotos dos Su-30 MK1 que após seu retorno à India, tem declarado à televisão local NDTV que em este exercício ganharam aos británicos por 12 -0 nos "dogfights" Os "bifes" tem reagido com humor. Falam de "cricket-style scores". Indian fighter jocks claim they have “humiliated” the RAF colleagues in mock aerial combat exercises conducted during Exercise Indradhanush 2015. “Our analysis does not match what has been reported” the RAF said. As we have already reported, four Indian Air Force Su-30MKI Flankers from 2 Sqd have recently been deployed to RAF Coningsby, UK, to take part in Indradhanush 2015, a two-week training exercise with the Royal Air Force Typhoon FGR4s. According to Srivastav, India’s most experienced Su-30 pilot, the IAF pilots came away from the exercise with a resounding 12-0 victory against the RAF Typhoons in WVR (Within Visual Range) engagements conducted while in the UK. So, not only held the Su-30s an edge on the Typhoons on 1 vs 1 and 2 vs 2, but even when a Sukhoi flew against two Typhoons, it managed to shoot down both enemies. The response to such claims was almost immediate, even though not too detailed. 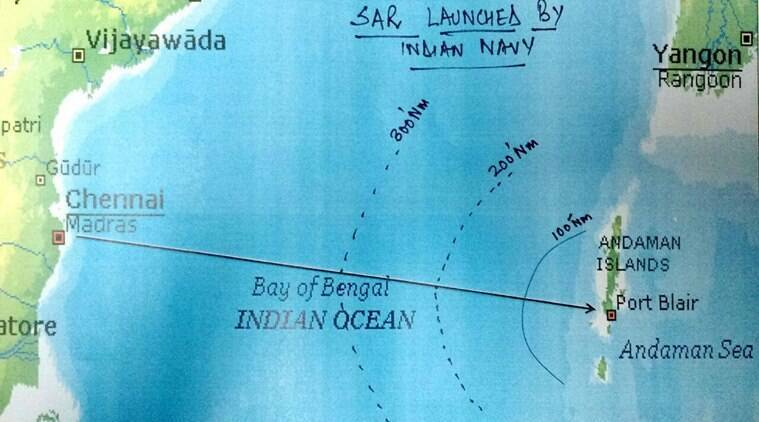 According to an RAF source quoted in an Independent piece the Indian claims were “clearly designed for a domestic audience“. So, the outcome of the engagements is at least unclear. However something can be said. First of all, the purpose of such exercises is usually to study the opponents, learn their tactics and strategy, sometimes without showing the “enemy” the full extent of a weapon system capability (even though the latter is also the “excuse” air arms most frequently use to comment alleged defeats). Then, the kill ratio depends on how the scenario has been set up, with the Rules Of Engagement affecting the number of simulated kills. Actually, this wasn’t the first time the Indian Air Force publicly claimed a resounding (and debated) victory: during Cope India 04, Indian Su-30 were able to achieve a 9:1 kill ratio against U.S. Air Force F-15C jets from 3rd Wing based at Elmendorf Air Force Base, Alaska. Anyway, just like all the simulated kills we have much talked about in the past, including some involving F-22 shot down, all these kill ratio claims should be taken with a grain of salt since they are often used for internal “propaganda” and marketing purposes and they have very little value unless we have some details about the scenario, the supporting assets involved in the engagement (AWACS, Electronic Warfare platforms, Ground Controlled Interceptors, etc.) and the ROE. Moreover, WVR engagements, in which the super-maneuverable Su-30 excels, are less likely than BVR (Beyond Visual Range) ones where a Flanker would be much more vulnerable, as Indradhanush 2015 seems to have proved. Um facto importante que tenho esquecido explicar. O Group Captain Srivastav não disse nada na entrevista à NDTV de uma victória "12 a 0" sobre a RAF. Ele apenas explicou que os pilotos da India actuaram de uma forma "excepcional". A expressão "12-0" apenas aparece no parágrafo primeiro da "informação" propagandística publicada pela TV indiana..
India's Cabinet Committee on Security has approved the purchase of 22 Boeing AH-64E Apache and 15 CH-47F Chinook helicopters worth an estimated $2.2 billion. Both types will be operated by the Indian Air Force, although the government has mandated that future attack helicopters inductions will be vested with the army. Enquanto a Índia e a França não decidem sobre a negociação de fornecimento de 36 caças Rafale, a Lockheed Martin e a Saab estão tentando um acordo de governo para governo para fabricar caças na Índia. Segundo matéria no jornal texano Star-Telegram, o CEO da Lockhed Martin fez uma oferta ao Primeiro Ministro indiano Narendra Modi em setembro do ano passado. A empresa americana que já produziu mais de 4.500 caças F-16 nos últimos 40 anos, atualmente está produzindo um desses aviões por mês para atender uma encomenda do Iraque. O Paquistão, tradicional rival da Índia, também é usuário do F-16 e deve receber mais oito aeronaves em breve. A Hindustan Aeronautics Limited (HAL) entregou as duas primeiras aeronaves Tejas à Força Aérea da Índia (IAF) que compõem o “Flying Daggers” 45, o nome do primeiro esquadrão de LCA (Light Combat Aircraft). O primeiro LCA autóctone da Índia, que agora está pronto para substituir o MiG-21, é o resultado de vários anos de trabalho de design e desenvolvimento da Agência de Desenvolvimento Aeronáutico (ADA) e a HAL. Um avião da Força Aérea indiana com 29 pessoas a bordo, incluindo seis membros da tripulação, está desaparecido. O aparelho, que fazia a viagem entre a cidade de Chennai, no sudeste da península do Indostão, até Port Blair, capital das ilhas Andamão e Nicobar, desapareceu dos radares, de acordo com informação divulgada pela agência France Presse. "Uma operação de buscas está em marcha. O avião estava no ar às 8.30 [hora local, 4.30 em Lisboa] e tinha aterragem prevista para as 11.30", admitiu o comandante Anupam Banerjee. O último contacto com o piloto realizou-se um quarto-de-hora após a descolagem, conforme revelou um porta-voz da Força Aérea. 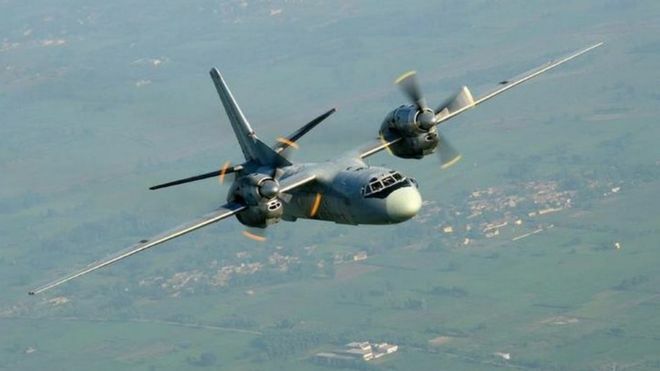 Já a BBC acrescenta que se trata de um Antonov-32 de fabrico russo, tendo a Força Aérea indiana mais de uma centena de aeronaves deste tipo (105). A agência Press Trust explicou que estes aviões têm a possibilidade de voar durante perto de quatro horas sem necessidade de qualquer reabastecimento. Na operação de buscas estão envolvidos diversos aparelhos de vigilância, meios da Marinha e da Guarda Costeira, movimentando-se na baía de Bengala, onde se acredita que terá acontecido o desaparecimento. Nota: Corrigi a notícia original, devido à troca da foto da aeronave no site do Económico. Obrigado Olisipo! An earlier $2,1 billion contract, signed in January 2009, was for the purchase of eight planes, a variant of the P-8A Poseidon. The aircraft are meant to replace eight Russian Tu-142 maritime aircraft bought in 1984. Evidentemente, não. Desculpas pelo erro. India signed an inter-governmental agreement (IGA) with France on 23 September in New Delhi for the purchase of 36 Dassault Rafale fighters in flyaway condition for EUR7.9 billion (USD8.82 billion). Indian defence minister Manohar Parrikar and his visiting French counterpart, Jean-Yves Le Drian, signed the aircraft deal for the Indian Air Force (IAF) 17 months after the procurement was announced in Paris in April 2015. The IGA includes the option for 18 supplementary fighters at the same price, taking a flat 3.5% inflation rate into account. Officials said India's Ministry of Defence (MoD) would pay 15% of the sum in advance to French aircraft manufacturer Dassault, which will begin deliveries of the fighters in 36 months and complete them in 66 months. The MoD, however, has yet to sign the final contract with Dassault, which is responsible for offsetting 50% of the overall contract value in India through co-operation with the country's military-industrial sector. The offsets under negotiation are expected to be split 30:20 between domestic aeronautics programmes and the licenced manufacture of Rafale-related components. Officials said the Rafale deal includes EUR3.4 billion for the platforms and EUR710 million for the weapons package, which comprises MBDA's MICA and Meteor air-to-air missiles with strike ranges of 70 km and 150 km, respectively, and the Storm Shadow/SCALP stand-off attack missile, which has a 250-300 km range. India is to pay EUR1.7 billion for customising the 36 Rafales to meet 14 IAF requirements, including the integration of Israeli helmet-mounted displays, as well as indigenously designed missiles and electronic warfare, datalink, and identification friend-or-foe systems. The fighters will also be customised for SPICE bomb-guidance and range-extension kits, which the IAF plans to acquire from Israel's Rafael, IAF sources told IHS Jane's . Aircraft spares, hangars, and two maintenance, repair, and overhaul facilities in eastern and northern India are set to cost EUR1.8 billion, while the performance-based logistics (PBL) deal for the fighters is priced at EUR353 million.